Home > Dining and Gourmet > [BreadTalk® Singapore] We hear you, Flosssaholics! 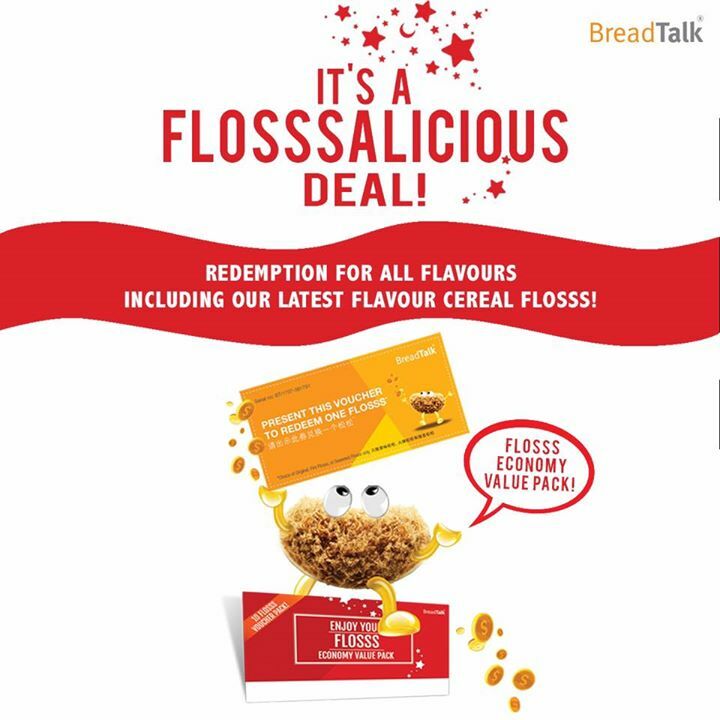 [BreadTalk® Singapore] We hear you, Flosssaholics! We hear you, Flosssaholics! Thank you for your feedback, and the good news is... our Cereal Flosss can now be redeemed with our Flosss Economy Value Pack vouchers! Get your flosssy fix at a deal with 10 Flosss* vouchers for $14! Available in stores from now till 31 August, while stocks last. Vouchers are valid for redemption till 31 October 2017. Previous: [Cold Storage] Prepare your aromatics efficiently!